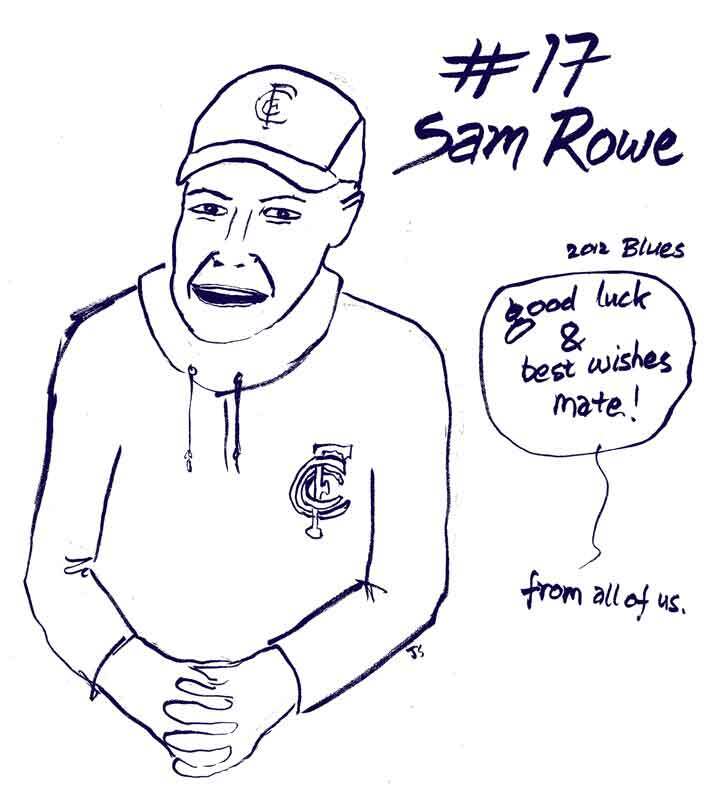 Sam Rowe in on the Blues’ list, he’s a mature aged rookie, this was to be his first year. Most Carlton fans were looking forward to an exciting prospect up forward for the Blues – a key position player that we so badly need. But when Sam got diagnosed with testicular cancer I reckon that put life into a stark contrast. I watched Sam’s interview on the tv during the second game against Collingwood (where we beat them yet again) when they were raising awareness for the Peter MacAllum institute for cancer research – he’s a brave bloke. Life can throw you some curly ones – So I drew this in his honour.